Progress report of General Prosecution Directorate, Primary court and Appeal court of Counter Narcotics Justice Centre. 100 suspects including 1 woman and 1 Pakistani citizen are detained in the connection to 73 cases of intoxicating and drugs during the month of February 22.2019 to March 22.2019 and the mentioned number of suspects are convicted and put into prison by the Primary Court and Appeal court of Counter Narcotics Justice Centre from one year and six month up to 21 years and nine month. 23 suspects put into prison by the primary court in the link to 17 cases from one year and six month up to 21 years and nine month and also 77 suspects including one woman and 1 Pakistani citizen are put into prison in the link to 29 cases by the appeal court of Counter Narcotics Justice Centre. These people are detained by the intelligence and security organ in the link to the trafficking of more than 205 kg of drug heroin type, more than 43 kg of morphine, more than 2513 kg of opium, 19019 kg of hashish, 27 kg of Methamphetamine, 40 litter of acetic anhydride , 562 liter of alcoholic drunk , 10 gram of tablet k are seized and discovered from different part of the country and their cases are dispatched to counter narcotics justice Centre for further investigation and after the investigation the Courts passed the judgments against them. Based on proposal of Prosecutor General's Office and Primary Court order the number of 39 vehicles, 3 motorcycle, 21 weapons and 128 various cell phones taken from the smugglers are discovered and seized also the amount of (370972) Afghani Cush and (1010) U.S. Dollar has been taken from smugglers delivered to Da Afghanistan Bank. On the other hand during this time after the decision of Appeal of Counter Narcotics Justice Centre the decision of 14 cases issued by Supreme Court’s public security bureau of Islamic Republic of Afghanistan. During the same time the security and intelligence forces of the country detained 112 suspect including 6 woman in relation to 100 cases and their cases are dispatched to counter narcotics justice center for further investigation. Among the detainees 9 of them wanted to transfer heroin drugs, Cristal and hashish from Hamid Karzai International Airport to India using embedded techniques in their travel bags and embroidered dresses, Police and Prosecutors of CNJC identified and arrested them. 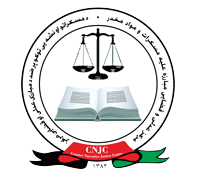 Based on last changes to the penalty code of Counter Narcotics, accordance with Articles 16 and 17 of the Law, fight against alcohol and drugs jurisdiction CNJC has the authority of interrogation or (handling) at least 1 kg of heroin, 10 kg of opium, 50 kg of hashish, and 200 liter of alcoholic drink , 1 kg of Morphine, 10 gram of intoxicating synthetic substance, 5 liter acid of acetic anhydride, intoxicants, and those who committed more than 50 acres of narcotic substance will be punished base on the law , the mentioned substances are from all over the country. It’s worth mentioning that during the month of January 2019 the number of 36 suspects including 6 woman in the link to 22 cases of drug trafficking crimes are convicted by the primary court from one year and six month up to 18 years sentenced, and also from the appeal court of Counter Narcotics Justice Centre 48 suspects including 1 woman in the link to 29 cases are convicted and punished.